CarpetShims is now a Traxx Corporation company. 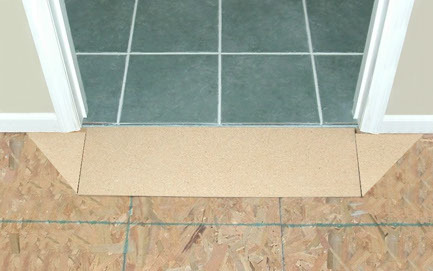 As an essential part of the Traxx Ramps™ category, we're making sure you're still getting the great flooring ramp products you've come to trust! • No more double tack strips. 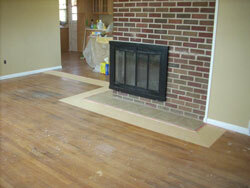 • No more floating floors with fillers. • No more building ramps with cardboard or whatever material is available. 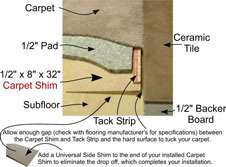 • No need for hard to use shake shingles. 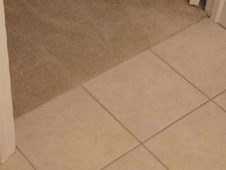 • Eliminate the sharp edges of the hard surfaces! 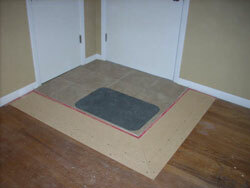 • No more unsightly hard surface edges. • Beautifully finished transition, EVERYTIME!